The IRS cross-checks your tax return with the Social Security Administration to check for basic errors. 1. What Causes Delays in the IRS' Approval of Electronic Tax Returns? 2. Does My Tax Return Need to Be Accepted by the IRS Before I File a FAFSA? Every spring you are inundated with 1099s and W-2s in preparation for filing your yearly taxes. Once you navigate the complicated waters of your tax return, you submit it to the IRS with a sigh of relief that you are done. Unfortunately, until the IRS accepts your return you are not finished. The IRS denies tax returns for several reasons including omitted information, incorrect information or tax compliance errors. When the IRS denies your tax return, an error code generates assigning a reason your tax return was denied. The IRS maintains a listing on their website of common error codes so you can determine where your tax return went wrong and re-file with the correct information. If you cannot find your error code on the IRS website, you can call telephone assistance at 1-800-829-1040. Their hours of operation are Monday through Friday 7 a.m. to 7 p.m. local time. The IRS receives your personal information from the Social Security Administration. A mismatch error occurs when you or your dependent's name, date of birth or Social Security number does not match information the SSA provides the IRS. Mismatch errors also occur when you incorrectly enter your previous year's adjusted gross income or your federal PIN. Your tax return will be denied if you claim someone who has previously been claimed on a tax return for that year. Duplicate information may happen when two parents share custody of a child. If one claims the child as a dependent, the other parent cannot claim the child. 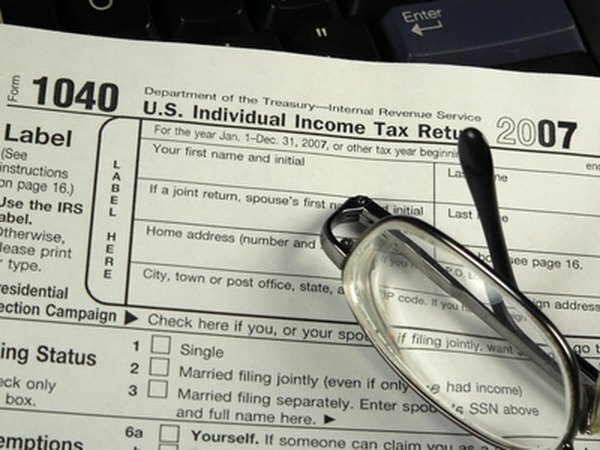 The IRS system bounces your tax return back because of the duplicate claim. A tax compliance error occurs when you omit tax-related information such as forgetting to enter a filing status, student's name or dependent status. You need to double-check your return before submission to guarantee all employer identification numbers and routing numbers are correct. The IRS also rejects tax returns when the standard deduction is not correctly entered or when you total number of dependents does not equal the dependent information you input on your return. After you e-file your tax returns, you receive notice in 48 hours of acceptance or rejection. Paper returns generally take longer. If your tax return is denied after the April 15 deadline, you have five days to make the corrections without incurring a late filing penalty. If you cannot make your changes electronically, your paper tax return must be postmarked by that date to be considered timely. TaxSlayer.Com: How Long Will It Take the IRS to Process My Return?